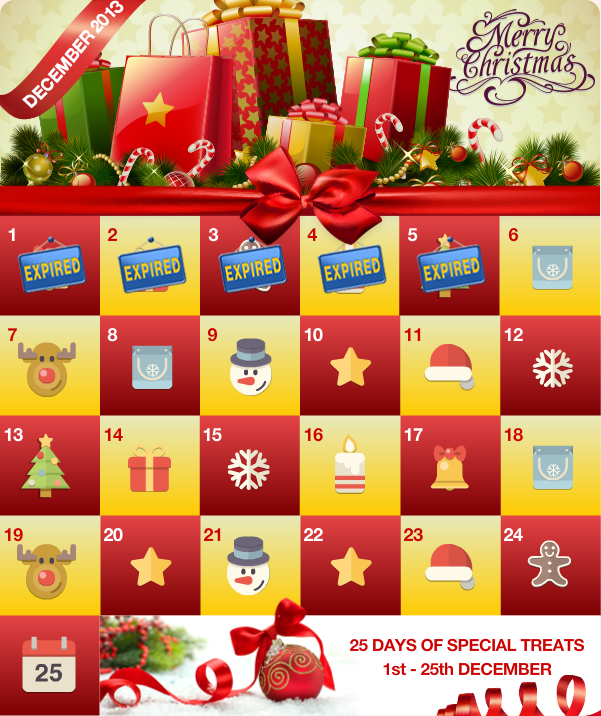 Santa has already landed his sleigh at Spin and Win Casino, bringing with him loads and loads of gifts that will be shared every day until the 25th of December 2013. Free Spins, Cash Drops, Exclusive Bonuses, Thousands of Loyalty Points, Vouchers and an epic £5,000 Slot Tournament are the prizes waiting to be handed out every day from Santa’s Sack. On 6 December, players will get to enjoy free spins when they wager. Amazon vouchers will be the prize on the 7th and more free spins when wagering on the 8th. 200,000 loyalty points will be up for grabs on the 9th of December and deposit bonuses will be waiting on the 10th. On the 11th, 20 winners will get a £200 Cash Drop and triple loyalty points on all games will be given away on the 12th of December. Mystery Prize Drops will be rolling in on the 13th of December and more Amazon vouchers will be handed out on the 14th. A massive 500 Free Spins will be shared with 50 winners on the 15th of December and exclusively on the 16th, players will get 10% cash back on slots. On the 17th of December, players will get to seize a deposit bonus and free spins by simply checking out the cashier on that day. The 18th of December will be a first come first served day with Cash Drops distributed to 20 winners. Additional Cash Drops will pour out on the 19th of December too, where 20 Winners will grab a £200 Cash Drop each. Further free spins will be given out when wagering on the 20th of December and on the 21st it will be the winners’ Sweet Treats Day. Triple loyalty points on all games will go out on the 22nd of December and more Mystery Prize Drops on the 23rd. Jingling deposit bonuses will be given away on the 24th of December and on the big 25th, Cash Drops and Free Spin Drops will be waiting under the tree. Over and above the daily giveaways, Spin and Win will be running a Christmas Slots Tournament where 100 winners will win a share of a gigantic £5,000 prize! To play at Spin and Win Casino online right now, click here.